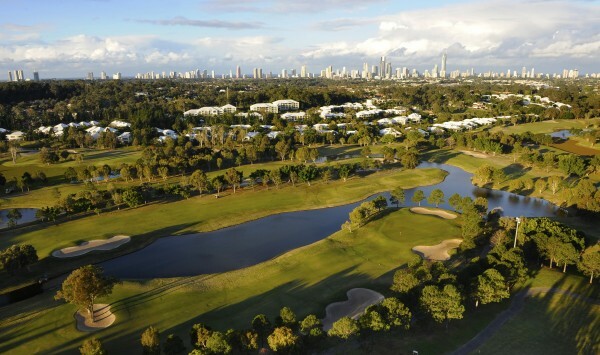 The PGA of Australia has confirmed the Australian PGA Championship presented by Coca-Cola has found a new home on Queensland’s Gold Coast at RACV Royal Pines. Following an extensive search within the Sunshine State where a number of competitive offers were considered, a series of new agreements will now see Australia’s oldest Professional Championship contested on the Gold Coast for the next five years. The agreements include the renewed support of the Queensland Government through Tourism and Events Queensland, as well as investments by RACV, Gold Coast City Council and Gold Coast Tourism. Brian Thorburn, CEO of the PGA of Australia said that the partnerships will provide major leverage to grow the Championship into one of the biggest events on the Gold Coast calendar. “This is a significant and exciting day in the history of the Australian PGA Championship,” said Thorburn. Thorburn added that while the Championship has enjoyed continued support from the likes of the Queensland Government, Coca-Cola Amatil, Volkswagen and Emirates, he also believes the move will attract a new naming rights sponsor. Minister for Tourism, Major Events, Small Business and the Commonwealth Games, Jann Stuckey welcomed the PGA’s decision to host the Championship on Queensland’s Gold Coast. “I am pleased the organisers have been able to secure a new venue which will allow them to get on with planning for the 2013 tournament to be held later in the year,” Ms Stuckey said. The proud home to the Ladies Masters since 1992, RACV Royal Pines is no stranger to hosting world-class tournaments. “RACV has excellent golf credentials through its management of four Club and Resort golf courses in Queensland and Victoria, hosting and sponsoring the Ladies Masters, support of Australian Master of the Amateurs tournament, sponsorship of young players and our very successful Golf Membership program, which has almost 3,000 members,” said Sue Blake, Executive General Manager, RACV Club and Resorts. The Australian PGA Championship moves to the Gold Coast after 11 years at Coolum. The Championship however has previously been contested on the Gold Coast on three occasions, at Surfers Paradise (1970 and 1971) and at Burleigh Heads (1975). 2013 will mark the first time in over 10 years that the PGA Tour of Australasia has staged a major tournament on the Gold Coast, the last being the 2001 Australian Open, won by Stuart Appleby. “The Gold Coast is renowned for its world-class golf courses and I am delighted to showcase them during the 2013 Australian PGA Championship,” said City of Gold Coast Mayor, Tom Tate. “The Gold Coast has earned a reputation as Australia’s emerging sports capital and it’s fitting to have this much loved event back in the city after a decade long hiatus,” said Cr Tate. The 2013 Australian PGA Championship presented by Coca-Cola will again be co-sanctioned by the PGA Tour of Australasia and OneAsia. During the announcement Thorburn also confirmed that Network Ten will continue to broadcast the Championship, with all four days to be showcased live across the country on free-to-air. Additionally, the Gold Coast will be showcased internationally through OneAsia’s television platform that spans 400 million homes in more than 40 countries, with all four days broadcast via ESPN Star Sports, Jupiter Golf Network, SBS Golf Channel, Fox International and Sky Sports NZ among others. The Australian PGA Championship was first played in 1905 with the Joe Kirkwood Cup boasting the names of past champions including Kel Nagle, Peter Thomson, Gary Player, Seve Ballesteros and Greg Norman. 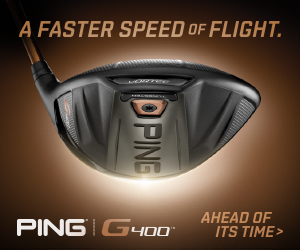 More recent Champions include Geoff Ogilvy (2008,) Robert Allenby (2000, 2001, 2005 & 2009,) Peter Senior (2010), Greg Chalmers (2011) and last year’s Champion Daniel Popovic.